In total the device switches send power to 7 individual circuits where 5 channels contained no circuit protection. Early problems with circuit breakers tripping led to many teams bypassing these devices, leading to no circuit protection at all. To help solve some of these problems DC Electronics have been designed and manufactured from solid state components so no moving parts are effected by routine racing vibrations. Furthermore, each circuit is pre-programmed with the maximum safe current that the wiring loom can take, should the current exceed this (due to accident damage or faulty component) the output is switched off before damage can occur to the wiring harness. In addition to this, each circuit has a bi-colour LED assigned to it on the outside wall of the box, this is used for rapid troubleshooting of any potential problems. If a problem occurs the LED illuminates its secondary color alerting mechanics to a failure. The Windform LX2.0 was used to enclose electronics. The mechanical features of Windform LX2.0 make it the right material in this kind of application. Windform LX 2.0 has a good tensile strength thanks to a mineral fiber reinforcement. It has a heat resistance with a melting point of around 180 °C. It has a natural black color and the finished surface can be smoothed to Ra = 1.5 microns. It is also non-conductive. This represents a crucial feature in building the electrical enclosure. The main criteria that the component had to satisfy was being as light as possible whilst the shape allowed it to be retro-fitted to existing mounting brackets. In addition, the component had to be strong enough to resist damage when being fitted to the mounting cradle, while also being able to handle and dissipate any heat generated by the circuit board. DC Electronics previously tested a machined billet box and a carbon composite box. The billet box was heavy and expensive to produce. The carbon composite box also proved costly and was not best suited to small changes in design as the project progressed, as this necessitated new molds and patterns to be made for each change. CRP USA offered DC Electronics to build the part with Windform materials using 3D Printing. After printing the proposed enclosure using Windform LX2.0 DC Electronics found the AM version to be lighter in weight than both the billet and carbon composite boxes. The biggest advantage for DC Electronics to use Windform LX2.0 and 3D Printing was the rapid delivery of production suitable parts at a sensible price. In addition any design changes could be made quickly and easily to the CAD model. “With this particular project we have found no limiting factors”, states David Cunliffe, Managing Director and Co-founder of DC Electronics. “The biggest factor that pushed us towards Windform was the speed in constructing the parts, the mechanical features of the material and the ease of delivery”. Windform LX2.0 and 3D Printing have achieved the final result successfully. The electrical enclosure was tested on racetrack and the component was fully reliable. 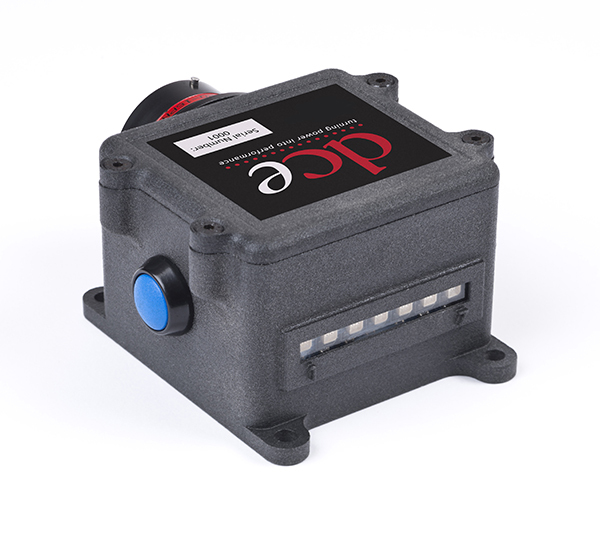 Thanks to the technology of additive manufacturing and Windform materials it was possible for DC Electronics to quickly and reliable produce electrical enclosure for the NASCAR racers.